We know you love your Porsche and you want to make sure that your Porsche gets the best of care when it needs service or repairs. 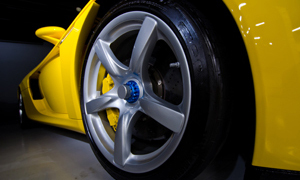 Our clients sometimes have questions about their Porsche regarding repairs or necessary service. And every question is worth asking. Our clients appreciate receiving correct and accurate answers. Therefore, we do not normally quote prices via email, as it is impossible for us to be accurate without having our qualified Porsche Technician take a look at your vehicle. If you have any questions or concerns regarding your Porsche, please don’t hesitate to contact us. At AutoImports of Denver, we work exclusively on all Porsche models, new or old. With today’s technologically advanced vehicles, you need specialists to keep them operating at their best. Trust your Porsche to AutoImports of Denver for your next scheduled service or repair.